Many decades ago, when typewriters were more common than the computer or its keyboard, learning how to type was a great deal. In fact, many people would enroll in typing classes so that they could learn how to type, which may now sound like an absurd idea. 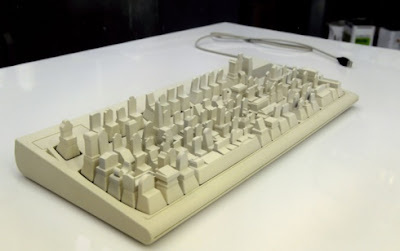 However, with the advent of computers a few decades ago, most people began to realize that the QWERTY keyboards aren't exotic but were now here to stay. Now, computer keyboards are so omnipresent that they have almost become the universal mode of communication, and the QWERTY keypad can be seen on not just computers but also cellphones, and other devices. 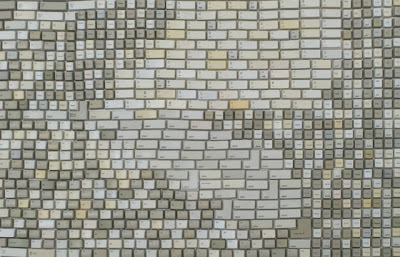 Now, let us take a look at some of the Artworks inspired by these Computer Keyboards.. 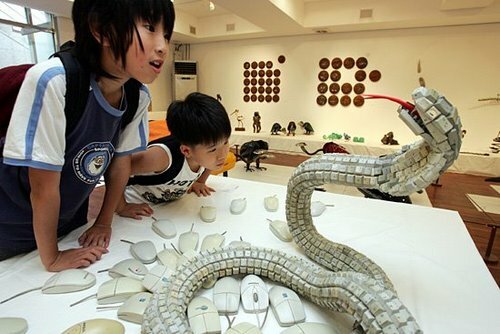 The Viper Snake Sculpture has been created using various QWERTY keyboard keys, and it almost looks real. The snake sculpture also comes with a scary tongue that I would not miss with and some simple computer mice to better present the predator. 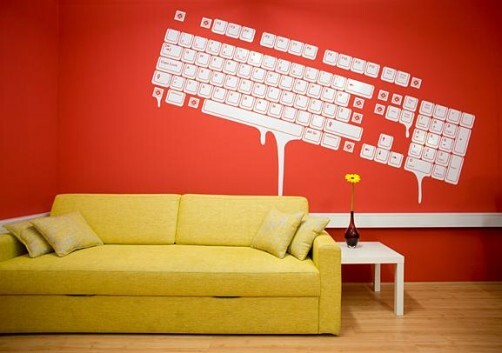 These Keyboard Wall Graphics by Zek are an way to redesign your interiors, especially if you are a geek and wanted to show your visitors how much you love working on the computer. Classic Mac Keyboard Skull T-Shirt comes with a great design printed on the bust and has been created by a U.K. based fashion designer to be cool and geeky at the same time. If you thought computers could not be green ever, think for another second. 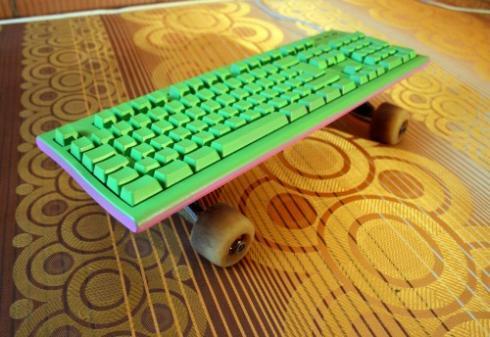 Here is a cool keyboard that is not just green but is literally green! 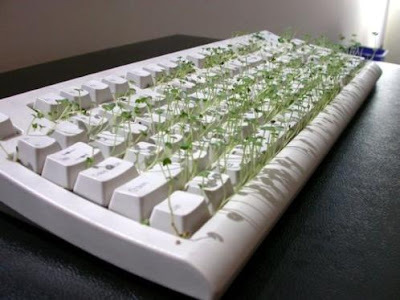 The Chia Computer Keyboard has got grass growing in it for a more Eco-friendly environment. 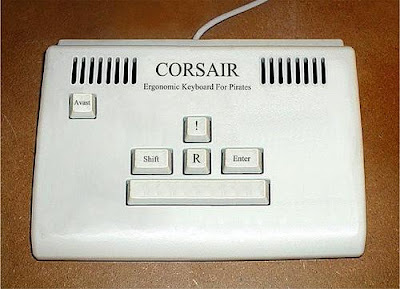 The Pirate Computer Keyboard is a bizarre gadget that has been designed for pirates only. Since one could assume that pirates can't read, they can be taught to press 'space', the 'enter', the 'shift', etc. 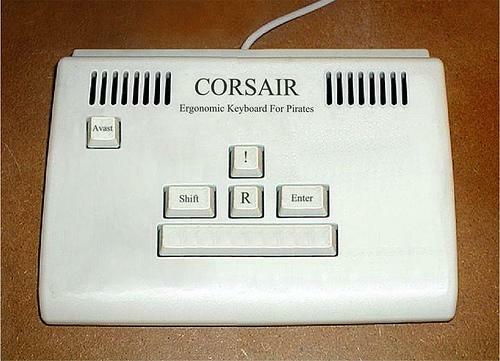 I am not sure which pirate would like to get a gadget like this, but at least it helps them write the "rrrrrrrrrrrrrrrr" they are so famous of saying. If you are a geek who secretly wanted to be a hunky Skateboarder, you could nurture your secret dreams by getting a Skateboard Computer Keyboard. 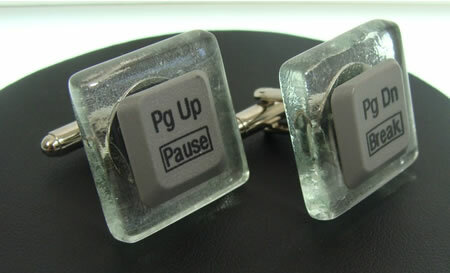 There can't be a better gift than this to a geek, but it probably won't be as useful to really do tricks with. 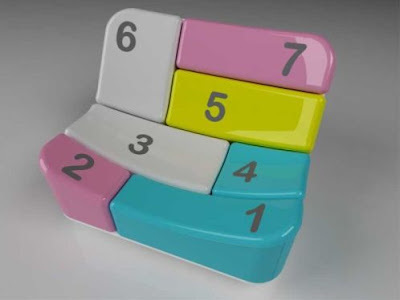 If you get tired after a long day's work and would like to relax on a geeky chair, you could get yourself this Colorful Keyboard Chair which comes with numbers, colors and a smooth texture; just like a geek would appreciate. If you want to light up your room with some geeky brightness, you could try the CTRL Button Lamps that are cute, chic and well designed. 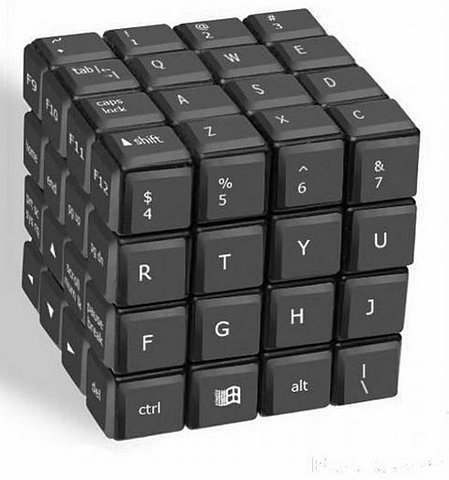 For the messed up souls who really enjoy the Rubik's Cube and want to show people how complex their life is, you could get yourself the QWERTY Rubik's Cube. It just can't be solved as there is no sequence in it. 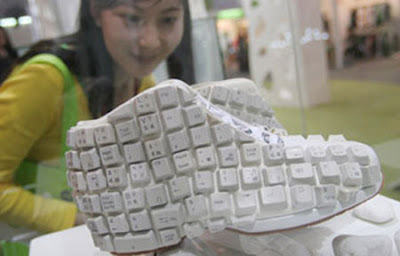 If you are the kind of person who wants to show off how geeky you are even in terms of clothes, go and get yourself a Keyboard Sneaker which looks pretty horrendous. The many who never believed computer keyboards could not be artsy, think again, for the Intriguing Keyboard Art has been designed by Jean Shin and has used Command Key Caps. 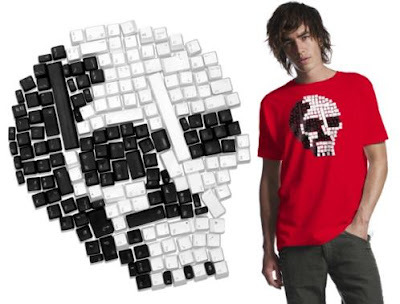 If you thought the above picture was damn artistic, take a look at this Keyboard Electronics Art that comes with strange designs in place of keys. Anyone who thought the largest keyboard came with a certain super computer, think again! 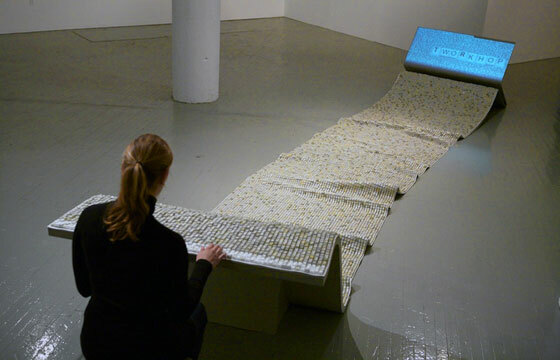 This Textile Keyboard could just be the longest, and the most flexible too! 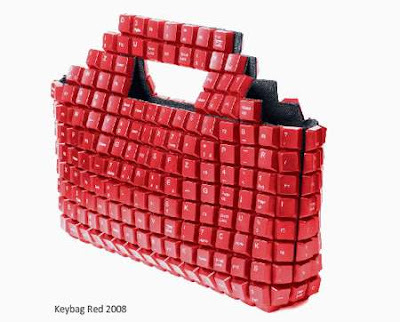 Any geek who would like to store all their geeky gadgets in a bag could certainly enjoy this Geeky Keyboards Fashion Bag. It looks really bright! 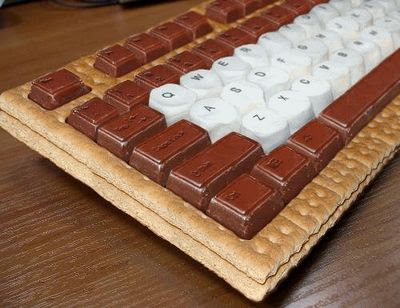 If you are a geek with a sweet tooth, you would love the S'mores Keyboard that comes with an amazing taste and flavor for geeks with a sweet tooth. Most bikers and Harley Davidson fans do not like to sit in front of a bike. 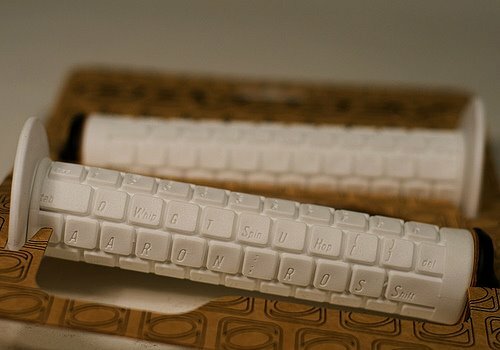 However, if you were a geek who also loved bikes, you could take a look at the Keyboard Bike Handlebar for some personalization. If you have ever been to the Camden Market in London, you would know that geek fashion is quite rampant in the street fashion scene. Here is a cool Computer Keyboard inspired line of jewelery for those interested. Those who wanted to recline on something very geeky, you should get this Reclined Computer Keyboard Chair. 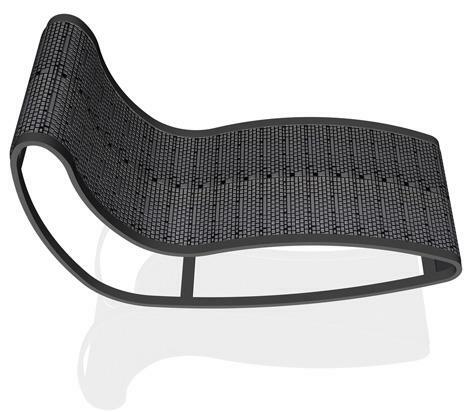 It is black and sensual. They say, technology drives away the darkness. 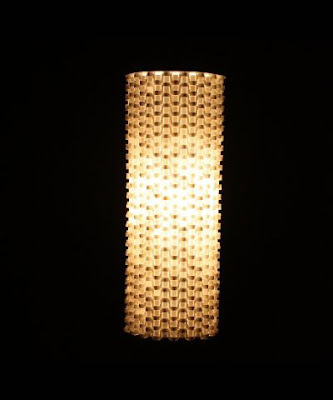 If you are surrounded by darkness, buy a geeky Old Keyboard Lamp and brighten your ambiance. 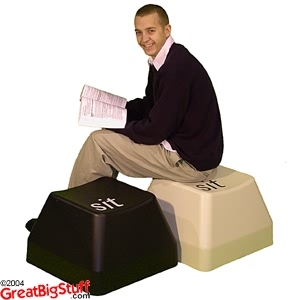 If you get tired of hammering away on the computer, take a break and relax on these comfortable Keyboard Key Stools, that are geeky, stylish and funny. 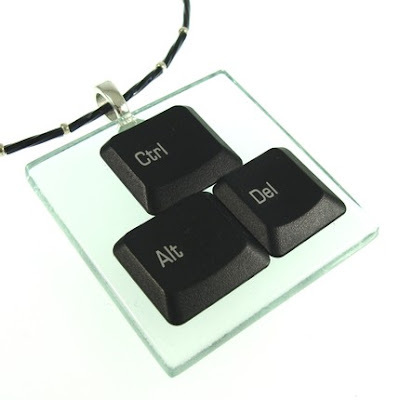 Geeks who get tired of wearing the same old jewelery over and over could really shock the latest fashion by wearing the Alt CTRL Del Pendant. After a long day's work and leading a geeky life, you would be tired and would need some sleep. 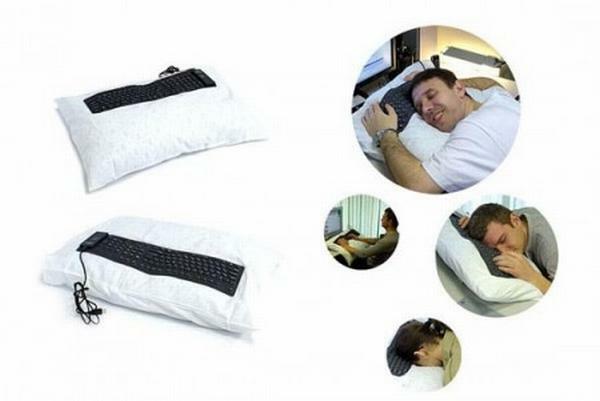 Sleep away by using this geeky Keyboard Pillow, and this way, you never have to leave your desk. The Angel Kitty keyboard is designed to be wrapped around the chest area. The keyboard is bendable to avoid damage to delicate body parts. It is compatible with Windows. The Angel Kitty USB Keyboard is available in a variety of sizes. The Angel Kitty USB keyboard is available in Japan for 15,750 Yen (approx. $ 140).